FESPA Print Census highlights the evidence that print is evolving from being a manufacturing business to one which is increasingly service orientated. This change goes hand in hand with a notable move towards customisation. Printers have come to understand that, in today’s world, overcapacity, manufacturing efficiencies and transparent online pricing mean that standard products have become commodities sold at the lowest price denominator to fill available production capacity, even if that means trading unprofitably. Recognising that this is commercially unsustainable, respondents to our Print Census report a continued gravitation towards customised or even specialist products, enabling them to establish clear unique selling points, attract customer loyalty and command more attractive margins. Change takes time, and more than a decade after the digital wide format revolution truly took hold in the wide format print sector, non-custom products such as banners, posters, signs and billboards still top the list of products being sold by those surveyed. But change is happening, and as digital technology continues to make deeper inroads in the vast majority of wide format print businesses, the Census shows us that we can expect to see a further shift away from commodity products and towards customised, high margin applications. New digital substrates hold one of the keys, and advances in rigid materials, together with increased material handling capability from digital print devices is driving growth in this area, with rigid media now accounting for 25% of output in our survey sample. Where customisation can truly come in to its own is in decorative applications which by their nature cater to more individual tastes. With digital print, we can respond to a personal interior design brief, or enable a corporate, retail or hospitality environment to quickly and cost-effectively adopt a new aesthetic to reflect seasons or promotional campaigns. 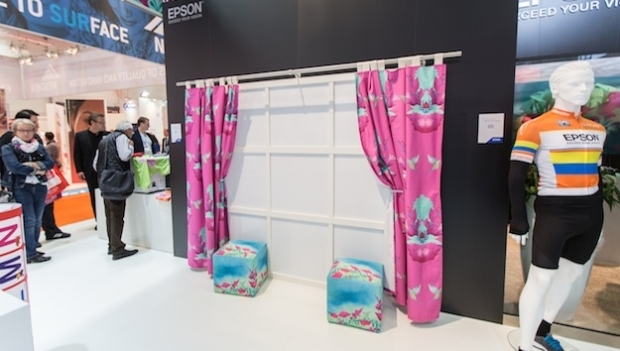 This adoption of digital - and the capability to customise that it confers on printers - is especially evident in the FESPA Print Census responses on the topic of textile print. The survey reveals that 80% of printers are witnessing increased demand for digitally printed garments, textiles for décor and packaging samples. Digital technology has empowered print. It is no longer about mass reproduction of a single image, but a creative process which enables absolute customisation or personalisation of virtually any surface or environment. The FESPA Print Census is a global research project undertaken by FESPA in partnership with Infotrends to understand developments in the wide format, screen and digital print community. The Print Census was funded through FESPA’s Profit for Purpose programme, which reinvests revenues from FESPA’s global events to support printers worldwide with insights, best practice and networking opportunities. The Census was conducted from May 2014 to April 2015, and surveyed over 1200 respondents in 64 countries, both face-to-face and online.